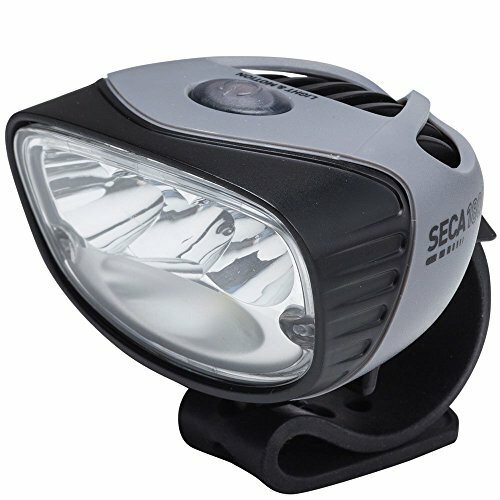 The Light & Motion seca 1800 light head is a replacement head unit for the acclaimed seca lighting system. The engineers at l&m made this unit able to utilize existing seca 3 or 6 cell batteries - so if you want to update your older seca but don't want to purchase another battery this is the way to go. The new seca features an updated beam pattern with 3 spot LEDs and 1 diffused flood to have tremendous punch down the trail as well as smooth illumination in front of your tire. The new design is also fully waterproof up to 1 meter and retains secas 1 meter drop resistance on concrete. It includes a bar mount and is compatible with optional go Pro mount. Battery packs sold separately.